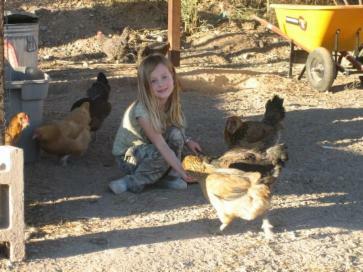 Feeding the hens and collecting the eggs is always a favorite chore here at Quail Hollow Farm. Cambree literally has the "girls" eating out her hand. Our hens are fed fresh greens and whole grains each day. They are free to scratch in the dirt. Their favorite treat is to eat bugs! Because they are raised in a natural environment they produce the most beautiful, rich delicious eggs! Dare to compare! 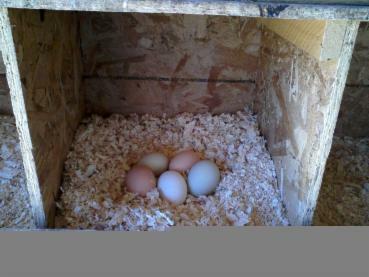 We have received wonderful photos of our eggs cooking next to others. You can see and taste the difference! Enjoy the diverse shell colors. These come from the different varieties of hens we raise.